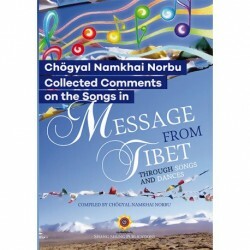 In October 1995 Chögyal Namkhai Norbu indicated the site of the Great Stupa of Merigar West. 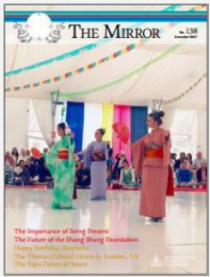 With the support and contributions not only of the global Dzogchen Community but also of the local population, its function is to harmonize the energy of the entire region and bring protection and benefits to all. To construct this monument correctly, in a traditional way, and also to prepare the enormous amount of tsa tsa and other precious objects to fill it took three years. 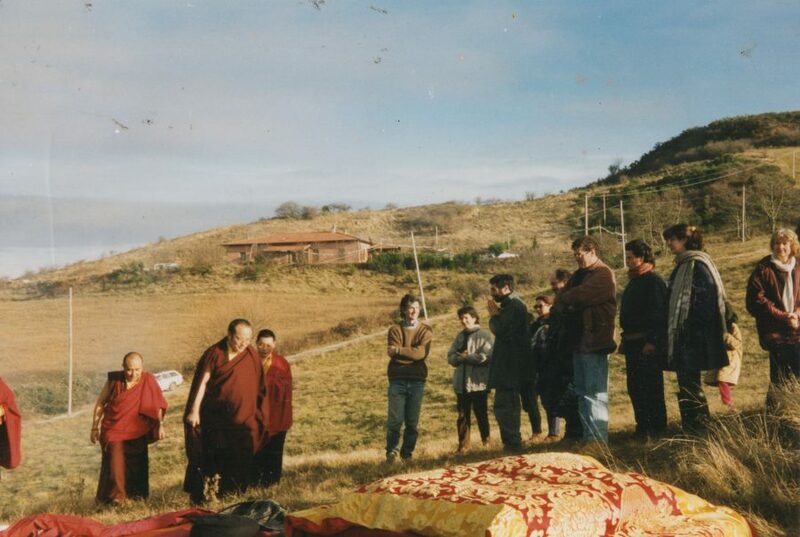 With the visits of several well-known Tibetan teachers, the emerging building was consecrated on various occasions. And finally, on June 28, 1998, H.H. Sakya Trizin and Chögyal Namkhai Norbu officially consecrated the completed structure. On October 3, 2018, the Great Stupa took on an even greater significance when the Body of our Teacher, Chögyal Namkhai Norbu was placed to rest within its main chamber. During those three years of intense planning and construction, several articles were published in The Mirror describing the details of the ongoing work of preparation and construction as well as the moments with visiting teachers who consecrated the building at different times. 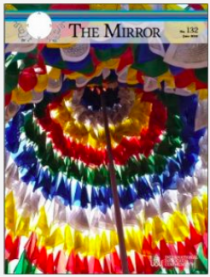 In this issue of The Mirror, we present some of the material that was published in those years describing how the Great Stupa came about. Six days of teaching given by H.E. 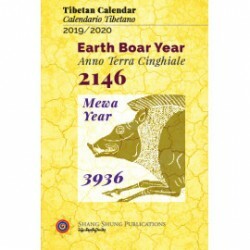 the 12th Tai Situpa have just drawn to a close at Merigar. 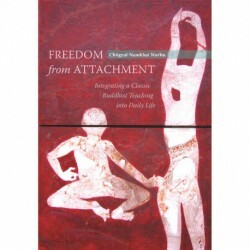 His Eminence gave a clear and detailed commentary on The Aspiration Prayer of Mahamudra by the 3rd Gyalwa Karmapa, Rangjung Dorje as well as The Thirty Seven Bodhisattva Practices by Acharya dNgol-chu Thogs-med bZang-po. 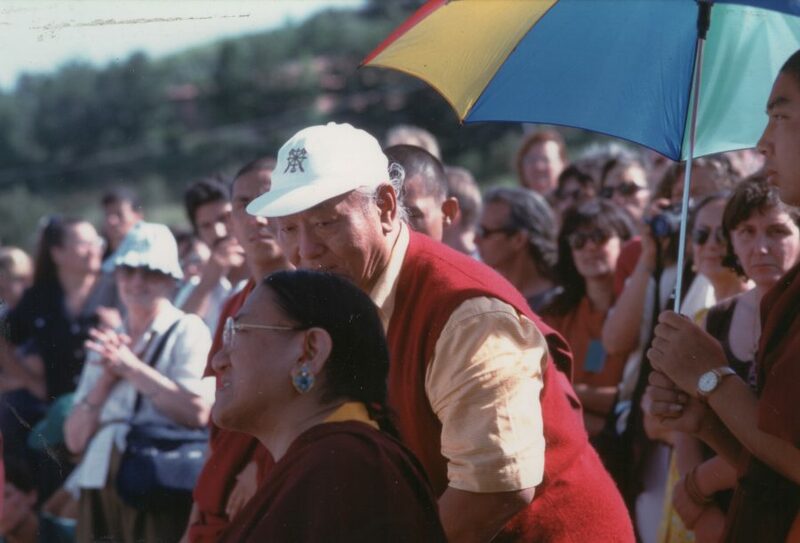 During his stay Rinpoche was accompanied by Lama Lodoe and Lama Tenam. The teachings were held in the Gönpa with His Eminence seated against the background of the painted figures of the Kagyu lineage, Marpa at center flanked on his right by Milarepa, on his left by Gampopa and then red-hatted Situ and black-hatted Karmapa hierarchs…. 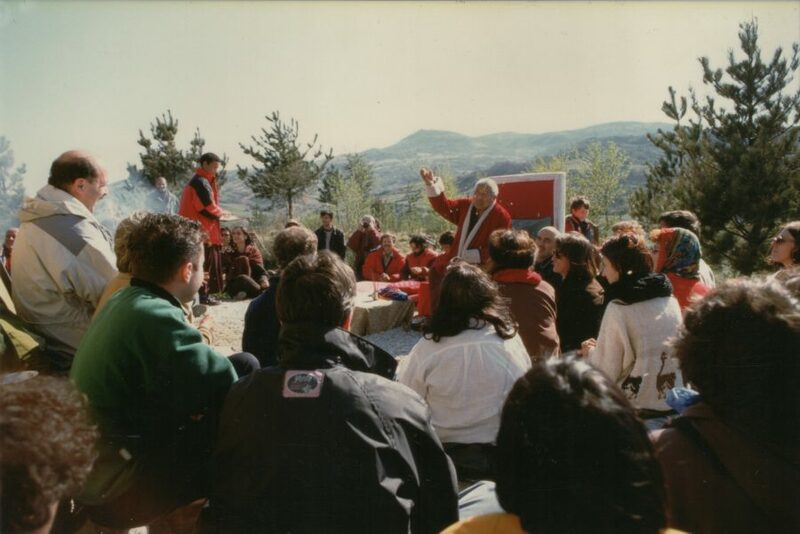 On the final day of his stay, just before teaching, Tai Situpa consecrated the site in the presence of his entourage and many of the retreat participants. Saturday, June 15th, 1996 will be a date to remember because on this very day the Dzogchen practitioners, the citizens of Arcidosso, the political authorities of the area where the Dzogchen Community was born in the early ’80s, all took part in more than one event linked to the construction of the Great Stupa of Merigar. 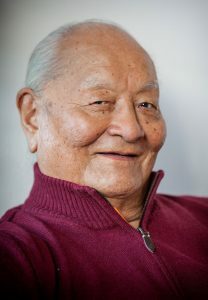 After some days of inclement weather, the sun broke through the clouds and on Tuesday, September 3rd, 1996, Namkhai Norbu Rinpoche deposited several objects in the foundation of the Great Stupa of Merigar in order to keep away negativities, wars and violence. There were more than 60 people present and we practiced the Medium Tun with Degyed Serkyem led by Rinpoche. 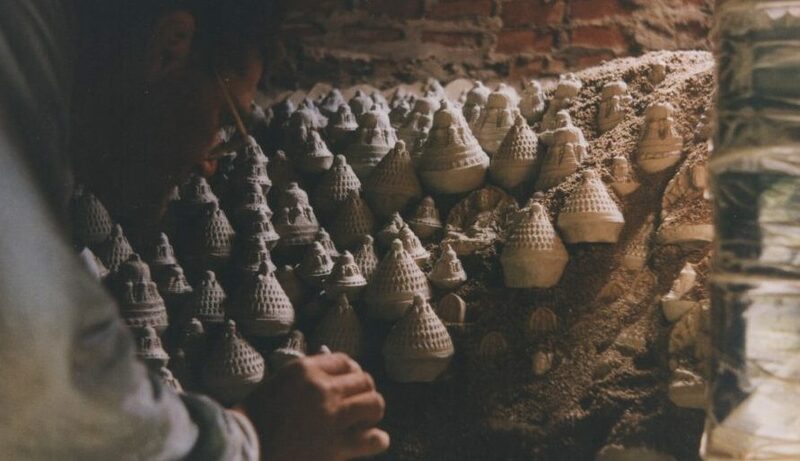 … The Stupa project set up by Mingyur Dorje on Rinpoche’s instructions, involves different floors or levels in which the cardi­nal points will be filled with tsa tsas (clay images of stupas of var­ious dimensions and forms of real­ized beings, each containing a grain of rice authenticated by the Master) for a total volume of 8 cubic meters. 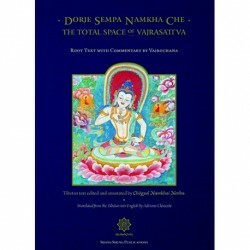 Rinpoche gave an approximation of the number of tsa tsas required: 80,000. After five months of work the number of finished tsa tsas amounts to 4,750.
gen­eral structure, without the finish­ing, will be completed in about a year. Ten people will be able to participate in mak­ing the tsa tsas at the same time since this is the number of moulds that are available. Shifts will be worked out so that work can pro­ceed uninterruptedly from the morning to the evening. 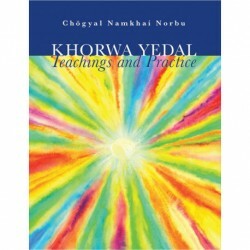 The prac­tice of making tsa tsa accumulates merit and wisdom and allows one to purify one’s karma through continual recitation of the hundred syllable mantra. 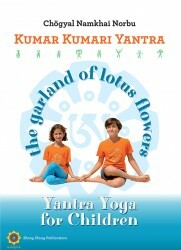 We offer sincere thanks to the Master who has offered us this possibility! From The Mirror issue 40 May/June 1997. 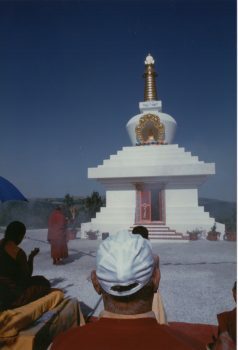 Before leaving Merigar, Rinpoche consecrated the new stupa with the rab ne (rab gnas) ceremony. Thanks to Minjyur Yeshe (who made the design for the Great Stupa last year during his stay at Merigar – ed.) we were able to make the srog shing. The term srog shing can mean the sustaining column of the Stupa or the spine of a statue or the support of a ritual object such as a namkha. 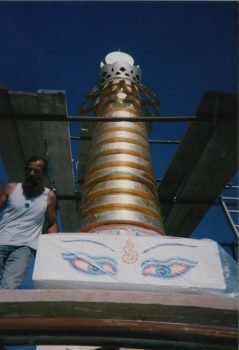 We made the srog shing of the Stupa from a tree trunk that was squared like an obelisk: at the top it ended in a point and at the bottom I sculpted a stylized half dorje. 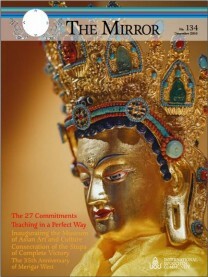 On each of its four faces I carved and painted the mantras that Namkhai Norbu Rinpoche had left. 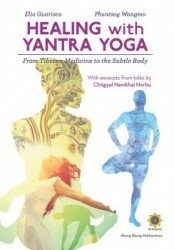 Before starting the work, Minjyurla had told me that the mantras had been very simplified. Since winter had set in, that news cheered me up a lot. 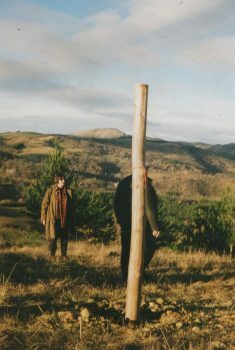 One day, while Mingyurla and I were looking for a suitable tree for the srog shing, we saw a dried up cypress tree that seemed suitable in a field, but after we had felled it and taken off the branches we discovered that it wasn’t right because it was bent. And so we continued our search. We were getting discouraged when, in Santa Fiora, a majestic pine appeared about twenty meters high, dry and without its needles. We could also see that it was completely straight. A few days later with the help of Frank Alleotti we cut down the pine, brought it to be squared at the sawmill and then to Merigar 2 where we put it in the semi-basement. Day by day, when the weather permitted (it was the end of November), we did the work of carving. 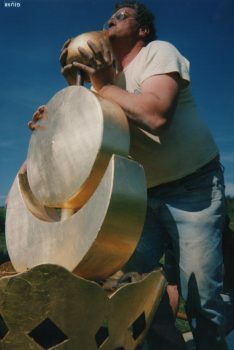 Mingyurla was the architect, the mind, while I used my experience of working with the wood chisel. 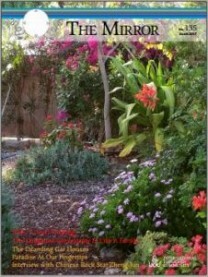 Now that the work is finished I remember the fear I had at the beginning. I was full of doubts at the time of sculpting the dorje. All in all I think I did a good job but it would have been better if Mingyurla had not left. On May 16th I was very excited when I woke up. Besides being a day dedicated to Guru Rinpoche it had also been indicated by Rinpoche as a propitious date for raising the srog shing. The weather was unstable. 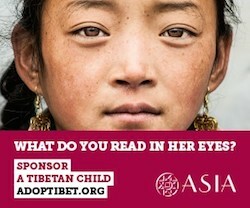 When we went to Merigar 2 to carry the srog shing on our shoulders to the Stupa as we had decided (more than a mile -ed. ), we wondered if the weather would permit us to raise it and do the consecration ceremony before it rained. Chanting the OM A HUM, which marked our steps, we slowly reached the Stupa. Once we arrived, while we were deciding how to raise it, the others made preparations for the practice. 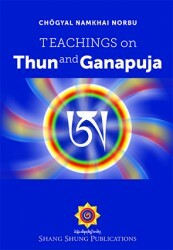 In this regard Rinpoche had sent us precise instructions: some mantras in particular and his precious advice. A serene air pervaded everything. It was like having an enormous umbrella to protect us from a possible storm. During the Ganapuja, while the mantras indicated by the Master were being recited, the srog shing was raised and deposited in the awaiting vase. All of us were aware of the fortune to be participating in the construction of the Great Stupa of Merigar. Sunday June 28th, 1998, a truly beautiful day. It is still early when I go down to the Stupa, and Merigar is immersed in the luminous peace of the morning. Today the intense heat of the past days is gently mitigated by a soft wind from the Southeast. From the palpitating green of the surrounding vegetation the exuberant songs of many little birds almost seems to rise in gratitude for this pleasant atmosphere. I’d better light the fire at once because glowing embers are needed to make abundant smoke when the time comes for the sang offering: first some dry sticks and then some good pieces of oak. Luciano and I prepare the seats for the Masters and the monks, doing our best to follow Rinpoche’s indications: something plain and simple and well-done. Meanwhile the Stupa stands there, beautiful and immaculate, with its colored decorations standing out against the white plaster and the gilding above gleaming in the sun. Ornamental pots of flowers in festive colors surround the base. “It’s really beautiful,” says the Master when he arrives and smiles radiantly as he circumambulates before stopping in the shade on the West side to wait for the practitioners who at first arrive a few at a time and then more and more pour down across the field. His Holiness Sakya Trizin will not be late to arrive. It is said that, since Merigar began, Rinpoche has always had in mind the idea of building a large Chorten here. 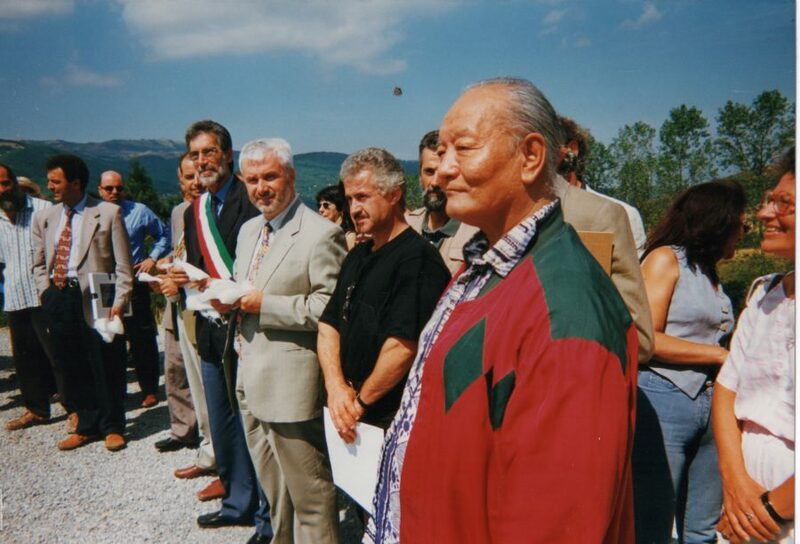 When Giovanni Boni went to visit Rinpoche during the painful period of his stay in hospital in New York at the end of 1994 and beginning of 1995, he found Rinpoche, as if by chance, intently examining plans for a Stupa which was about to be built. “Certainly, it would be good if we made one at Merigar too,” our Master said to him on that occasion. 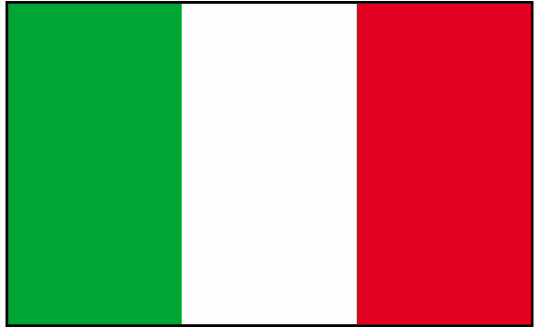 So as soon as our engineer returned to Italy he got to work. 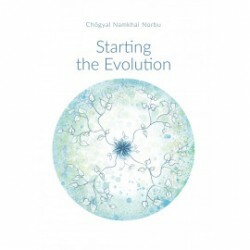 A first set of plans was sent to the authorities in the spring of 1995, the year in which, on his longed for return to Merigar, Chögyal Namkhai Norbu indicated the exact point where the Chorten should stand. Having obtained the approval and related permits, work on the foundation could begin in the spring of 1996. The first time I went to see it, the top of that hillock was a bit different from how it looks now. Anyway it was quite delightful, sloping ground, covered in dense, dark green weeds, broom and brambles and a great heap of mossy rocks removed from the fields by farmers in the past. A chestnut stake, beaten into place by a sledgehammer, marked the center of the future construction. The first thing that was necessary was to open up a road for the delivery of building materials and then the site had to be leveled for the foundations. 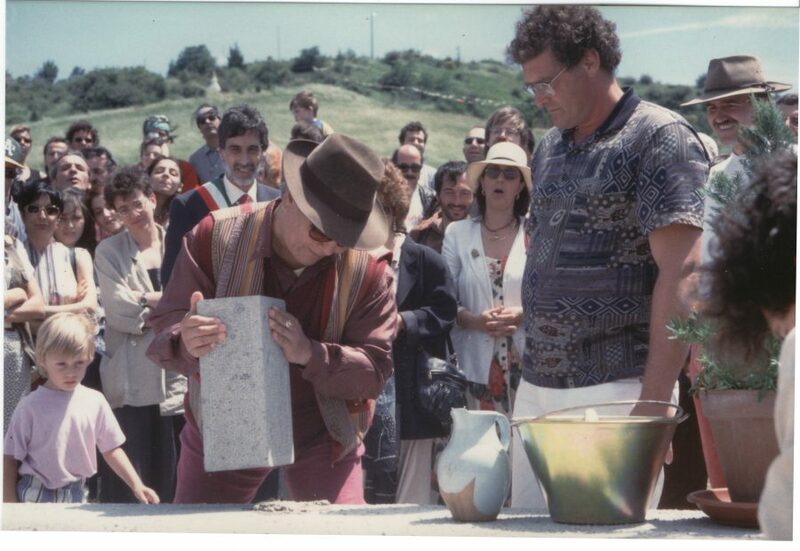 The farmers’ mossy boulders were inserted into the base of the foundations of the walls together with those obtained from the old medicine room (behind the Yellow House, or Serkhang), which Paolo Pagni was restructuring at that time to make an apartment for the Gekos. At the center of the foundations several stones were laid in such a way as to form a kind of cylindrical well, eighty centimeters in diameter, which was to contain the objects for the first authentication. At that point we had constructed a platform of reinforced cement, seventy centimeters high and with a top surface of three by three meters. 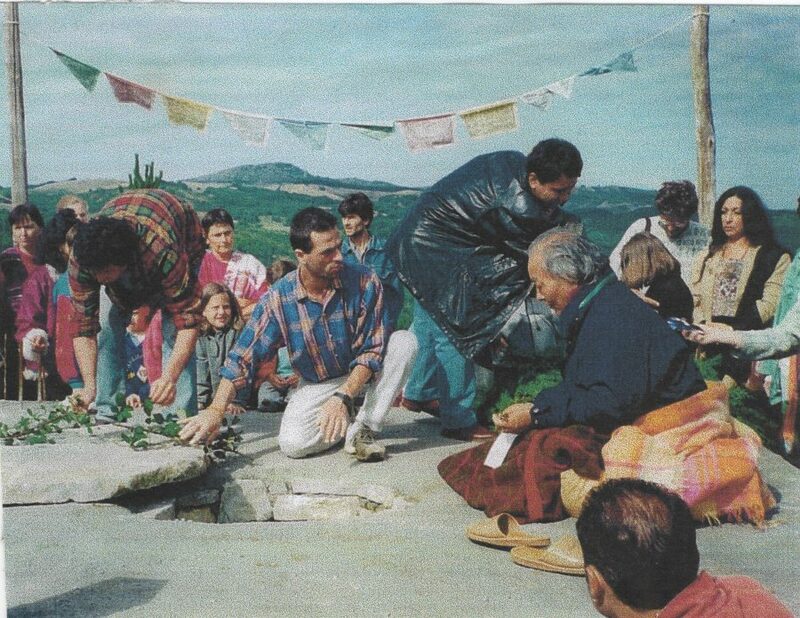 Around the beginning of June Rinpoche was to return from his winter journeys in Asia and Australia and a ceremony was programmed towards the middle of the month for the placing of the foundation stone, in the presence of the Mayor and other local authorities. The ceremony took place on a Saturday morning. The platform, which wasn’t anything special to look at in itself, had been adorned with pots of flowers. 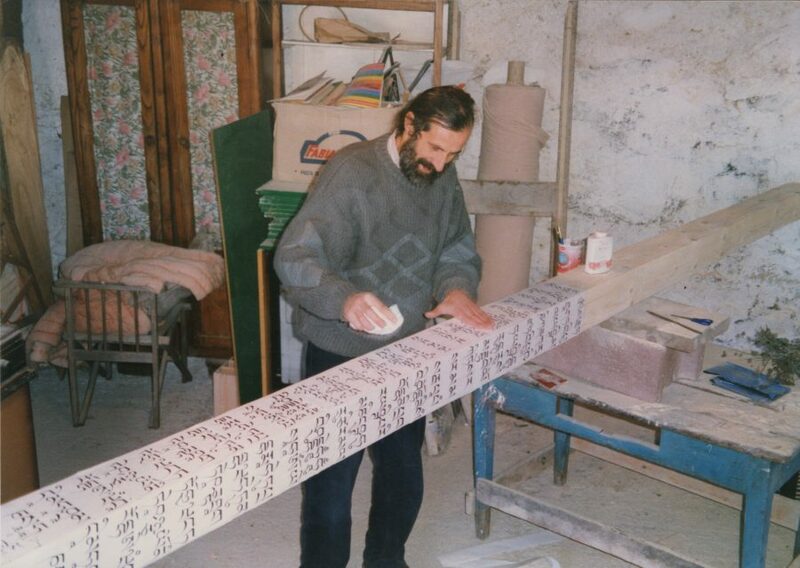 The foundation stone was a block of peperino – a gray colored volcanic stone – on one side of which the Tibetan syllables OM A HUM had been carved. 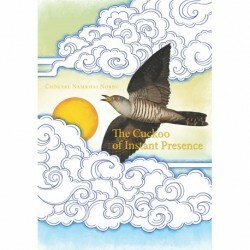 Rinpoche placed it, amid applause, on some cement, which I had spread in the place where the door-post was to be. It turned out later that, for several reasons, this stone could not remain there; in the end it was walled into the base of the niche, which houses the statue of Buddha. 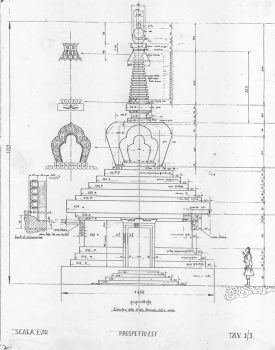 In the following days Rinpoche arranged for the surface area of the platform to be increased to four by four meters and some of the proportions of the drawings of the plans were altered to harmonize. Mingyur Yeshes, an excellent Tibetan painter and sculptor who had studied at Tashi Jong (the art-school, at that time directed by Dugu Choegyal Rinpoche in Himachal Pradesh, India) and was at that time staying at Merigar as guest of the Shang Shung Institute, completely redrew the plans, which met with the enthusiastic approval of Rinpoche. Before leaving Merigar again Rinpoche authenticated the base in a ritual offering of sang and sergyem. 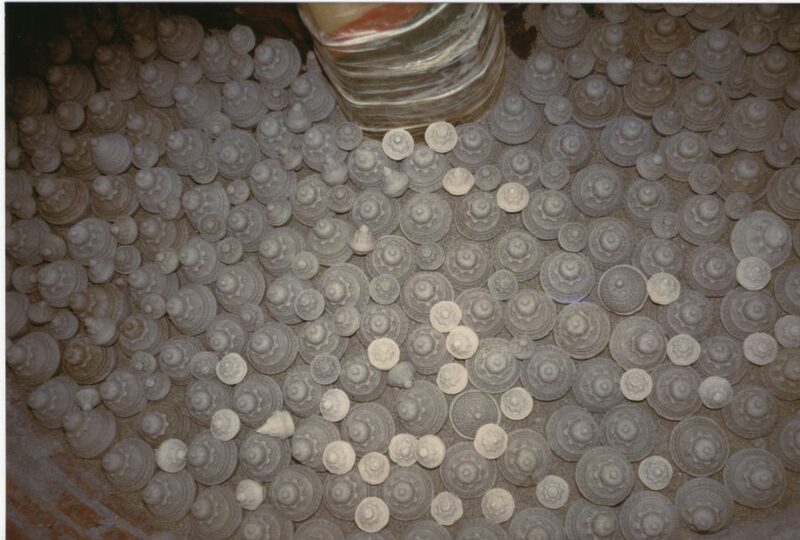 The central well was filled with jars and sacks Rinpoche had carefully prepared for days and days. A large stone cover was cemented in position as a seal over the well and a layer of concrete brought the level of the platform to its present floor height. Meanwhile autumn and then winter arrived and work proceeded more slowly. The room and the wide platform, called the “‘Great Lotus” which serves as its roof, with the structure on which the upper steps rest was built in the spring of 1997. In February Mingyur Yeshes and Piero had already found, in Santa Fiora, a suitable tree for the central pole, called the srog shing. It was a cypress which, when squared up would serve as the spinal column of the Stupa, placed at the center of the roof of the room and going up to the top of the concentric gilded structure called the “Thirteen Dharmas”. 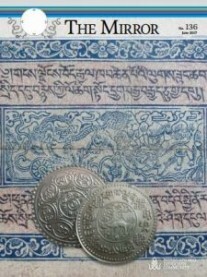 Piero Bonacina and Mingyur Yeshe carved the base of the srog shing in the form of a half vajra and the mantras on its four sides. They painted the surfaces red, the mantras gold and the Vajra yellow. When Mingyur Yeshes left Merigar, he consigned the rest of the work to Piero. He was to finish the srog shing and to do all the wood and stone carving which we can now admire on the Chorten. 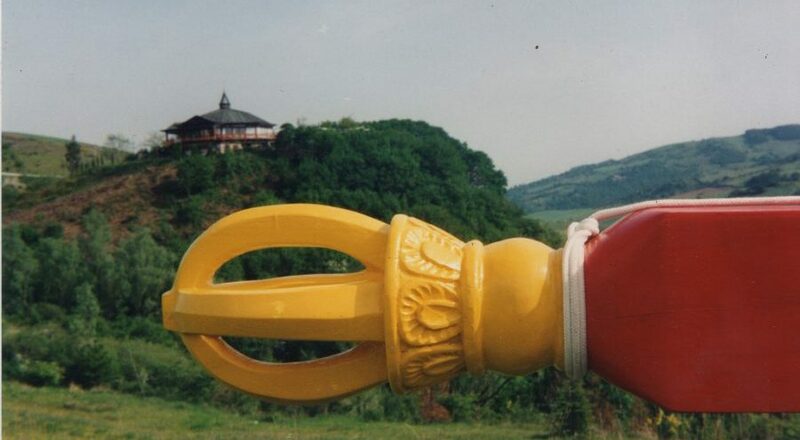 The srog shing was raised at the beginning of the summer after a Thun on a special day of Guru Rinpoche, like that on which, months later, we proceeded to cover it with sacred texts. Copies of all the books by Rinpoche that have been published in different languages were used for this, but mostly we used the study texts for the first levels of Santi Maha Sangha. 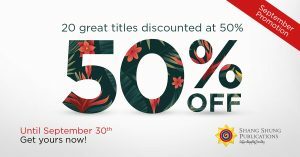 At a certain moment, the fluttering of hundreds of golden Tibetan ‘A’s glittering in the first glow of the sunset, offered us an indescribable vision. Straight afterwards the srog shing, covered with books, was wrapped in strips of five-colored cloth and then waterproofed. At the end of autumn the rough structure of the Stupa was finished. In Piero’s workshop the carved frames of the fixtures had only to be painted; and in his garden the lotus petals handsomely sculpted in peperino were waiting to be mounted in place. 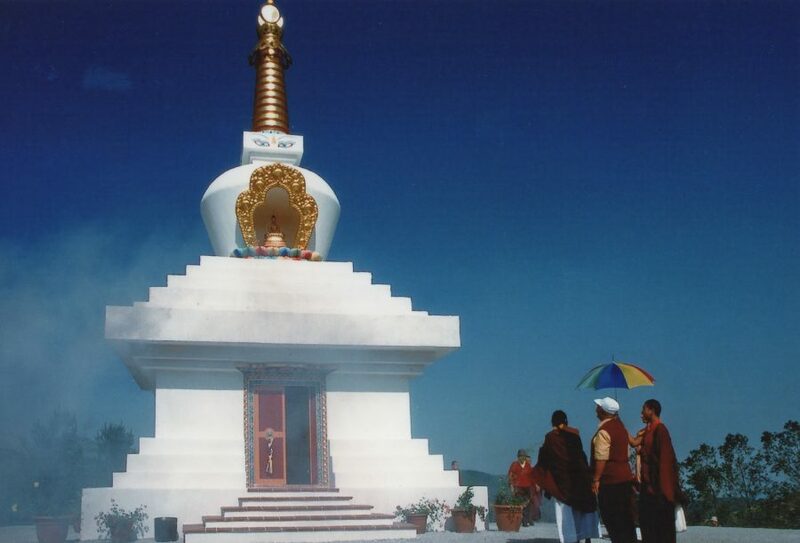 As soon as Rinpoche returned at Easter in 1998 he said that the Chorten must be finished in time for the appointment with His Holiness Sakya Trizin, so that he could consecrate it. All of the plastering had to be done, the fixtures walled in, the entrance stairway constructed, the large space in the upper steps filled, the tsa tsa placed in the vase and the top parts mounted. On Guru Rinpoche day in May we filled the levels (the upper steps) under the vase. 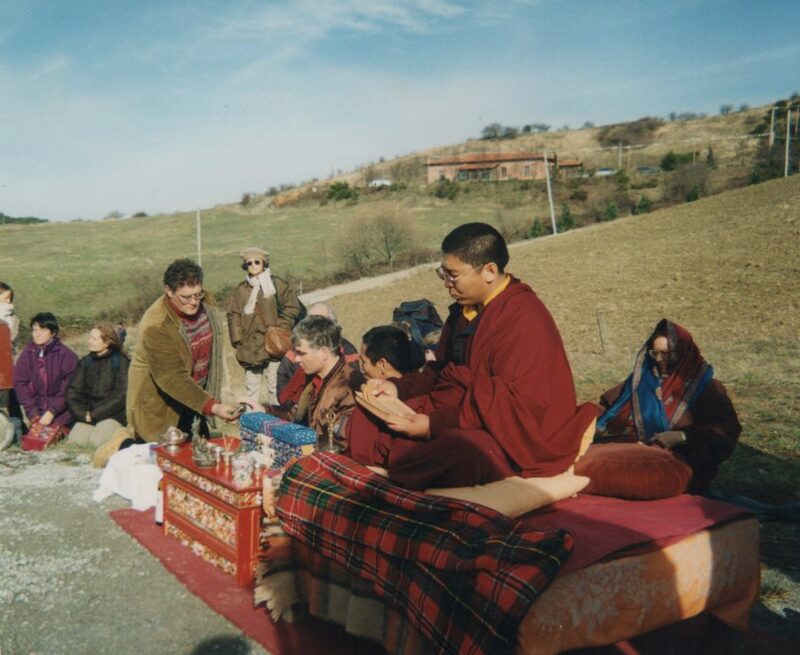 Around the base of the srog shing were placed many jars which Rinpoche had prepared and left for the occasion and the rest was filled with cereals and wood of conifers. 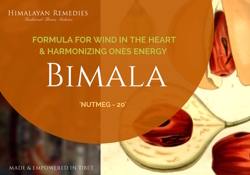 It was fortunate that many practitioners came to help in the work because, although it may not seem like it, the amount needed to fill the space was remarkable and several people had to go to get new provisions quite a few times. On Guru Rinpoche day in June we began to place the tsa tsas in the vase. Mingyur Yeshes and Phuntsog Wangmo had showed us how to mould them and Rita Bizzotto guided and co-ordinated practitioners in this patient work for three years. The quantity of tsa tsas needed to fill the vase had always been an amusing puzzle during the whole course of the work. At a certain point I can remember honestly thinking that there would be enough left over to fill another Stupa. The “sauna” was overflowing with boxes stuffed full of tsa tsas. But when we came to place them in the vase we soon noticed that there would maybe be only just enough. The work went on for three days. As the tsa tsas were placed the wall of the niche for the statue of Buddha was gradually constructed until we reached the point where it was necessary to fill in right to the top, at least in the parts that would be hard to reach at arms length when the vault of the niche began to slope towards the key closing point. Two holes had been left open in the roof of the vase to allow the finishing of the filling once the niche was complete. There is only a week to go to the beginning of the retreat and only now can we take down the scaffolding and set to work on the plastering. Since it would not be possible to completely finish all the details in time, we proceeded to give a first coat of white plaster over the roughest parts so as to at least give an idea of how the Stupa will look once it is finished. His Holiness’s elderly master of rituals approaches Nyida, the Tibetan doctor who is adding sang to the fire, and whispers something to him. 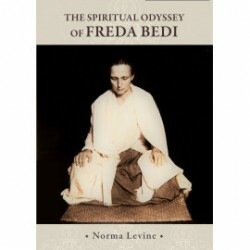 I notice Nyida looking for me with his eyes and then he approaches me, he has to go up and put the khatag in the Buddha niche. So we hurry off to get a ladder, which has been left nearby just in case of need. It is a beautiful sight. 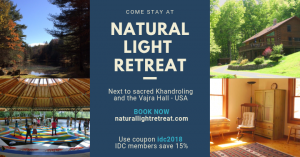 Nyida picks up the khatag, unravels it and holds it open, his hands at the sides of his body at the level of his heart, he asks the master of rituals for clarifications. He is answered from below. He goes to the statue and encircles the base of it with the khatag. This is how the ceremony ends. At eleven o’clock there was a reception on the veranda of the Yel­low House for the local authorities who had been invited to the official inauguration of the Merigar Stupa and local business people who had generously collected funds in the past to contribute to its construc­tion. Several shopkeepers timidly appeared at the door of the verandah – Rinpoche had a word with all of them while he spoke with the guests about the pro­jects of ASIA in Tibet and about his recent visit to China. 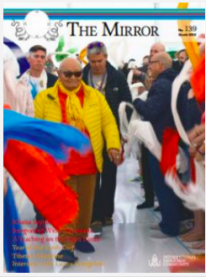 In the mean­time the square below had filled up with practitioners, tourists and peo­ple from Arcidosso who were curi­ous about the event and wanted to take part in the ceremony. After the reception Rinpoche and all those present left on foot towards the Great Stupa, followed by a long pro­cession. 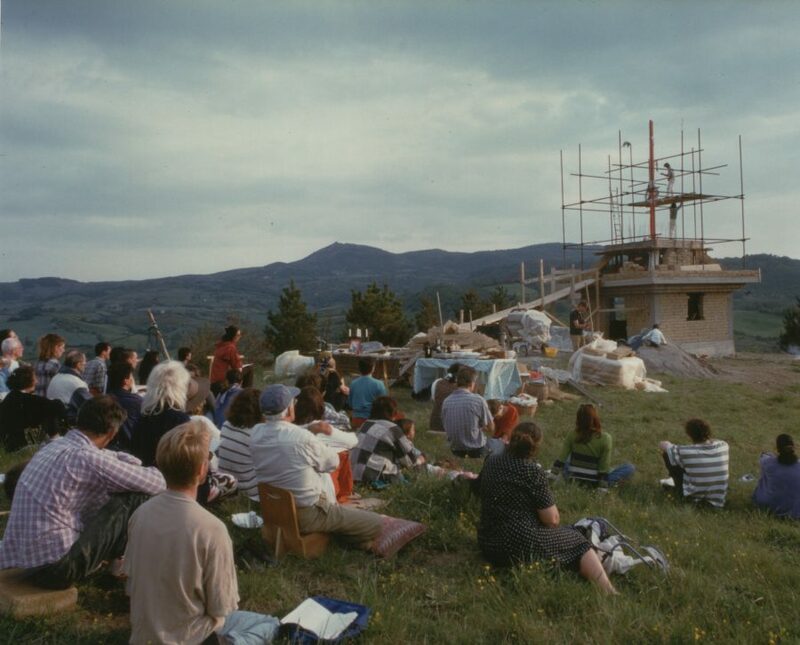 The ceremony was brief and essential but very moving especial­ly for all of those, and there were many, who had seen the Stupa growing and who had actively collaborated in the creation of this work, certainly unique in Italy and perhaps in Europe (at the time – ed.) for its grandeur, accuracy of workmanship and artis­tic and spiritual value.